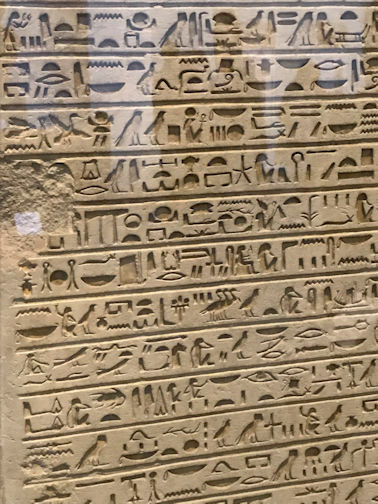 What if one of your hieroglyphs was wrong! In modern times, we proof readers have many tools at our disposal. We can proofread Word documents and PDFs, but it is not that usual to proofread written documents of pieces of paper any more. Times move on. But imagine proofreading this block of text! I took this photograph at the British Museum recently and it caused me to think. DID anyone check it? What if something was wrong? If so, would they have had to start again? Any how would the proofreader dare tell the engraver that there was something wrong – ouch! And how would you mark it up? I hope they did a rough version on papyrus first (joke!). Ref: 273 Yes, and how would we know? They meant one thing, but engraved another - giving a whole different meaning!